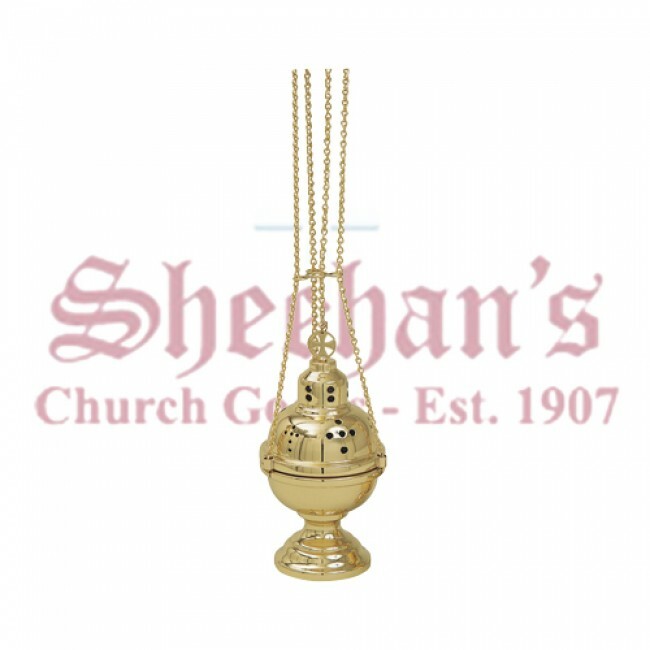 Koleys 4-Chain Censer and Boat, available in Satin, Polish or Bright Gold Brass. 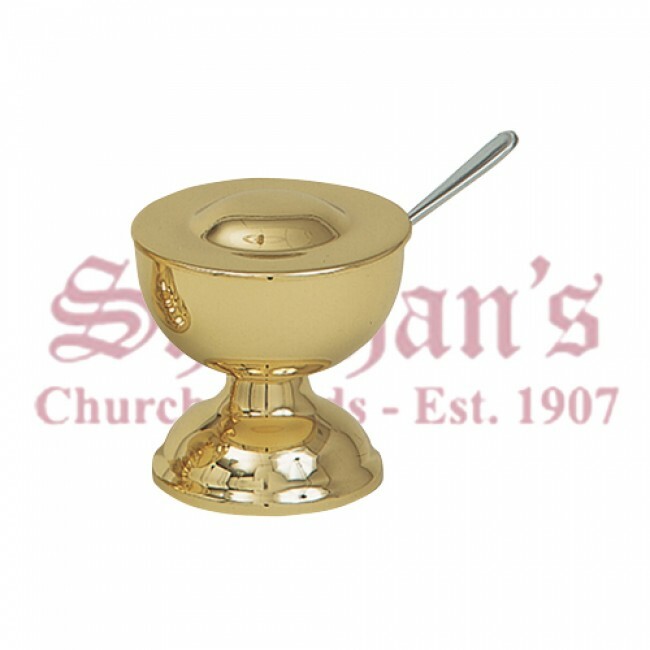 Finely crafted Censer is available in Satin brass, Polish brass or Bright gold finish. It comes with matching Boat to hold the incense and spoon. 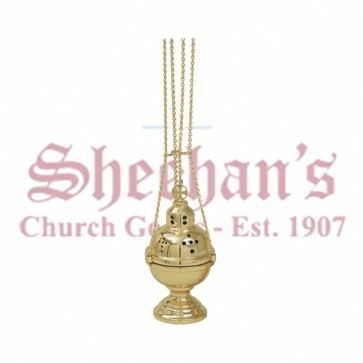 Censer also called thurible-used in certain ecclesiastical ceremonies or liturgies, is a sacred vessel wherein mixtures of various aromatic incense, are burned over lighted charcoal. The perforated cover allows the incense to exude the aroma of burned incense when swung by the attached chain. Incense boat is used to hold the incense which is transferred to the censer with a spoon.